Synonyms: Super Human High Schoolers Are in Another World, But Seem to be Living in Comfort!, High School Prodigies Have It Easy Even in Another World! Published: Oct 15, 2015 to ? Alternative version: Choujin Koukousei-tachi wa Isekai demo Yoyuu de Ikinuku you desu! 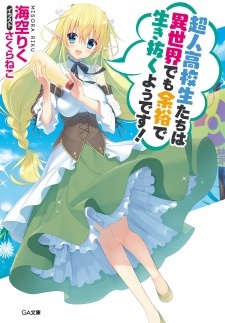 Adaptation: Choujin Koukousei-tachi wa Isekai demo Yoyuu de Ikinuku you desu!